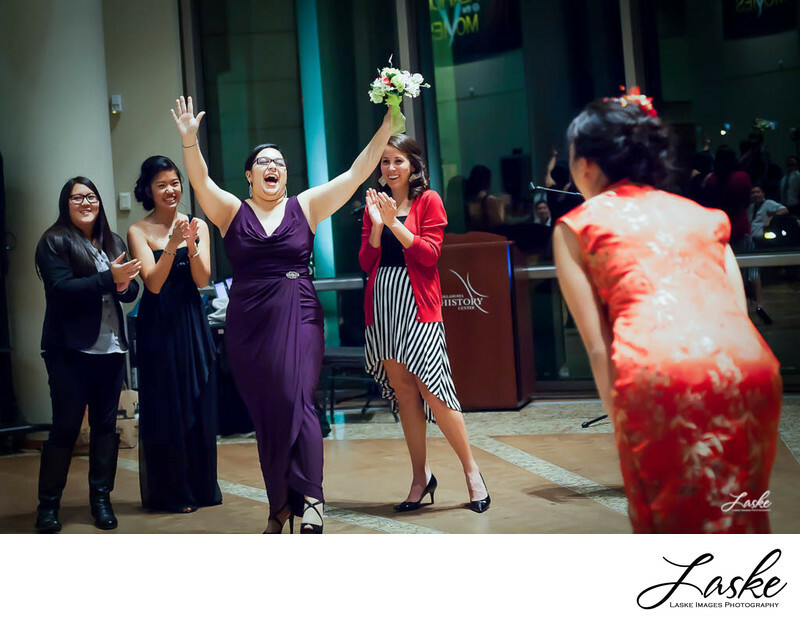 Woman throws hands in air to celebrate catching the bouquet at the reception. Woman throws her hands into the air celebrating catching the Bride's bouquet at the wedding reception. 1/125; f/2.8; ISO 3200; 50.0 mm.